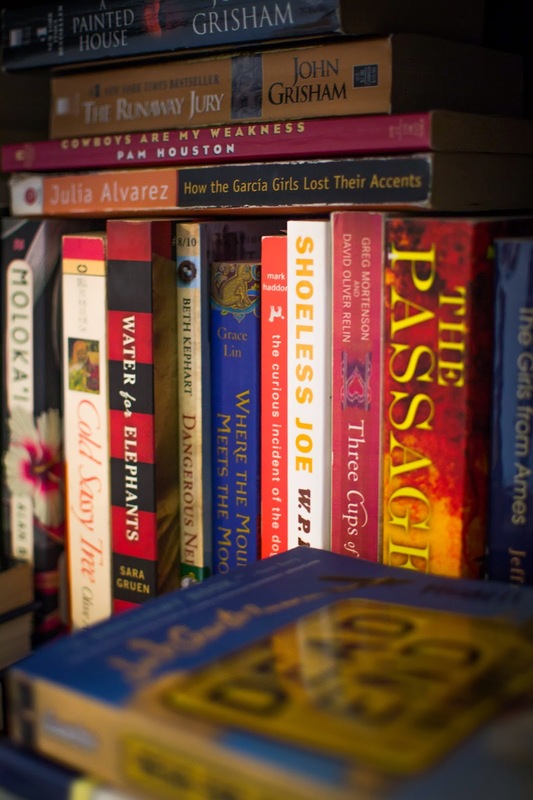 Home / Uncategorized / Books: to Borrow or to Buy? by torrieon August 6, 2014 August 6, 2014 16 Comments on Books: to Borrow or to Buy? I feel bad for anyone who had to help us move back in June–not only did we have a piano that needed to be moved up a flight of stairs, but we had at least 25-30 boxes of books that had to be hefted up to the new apartment as well. Additionally, some of those boxes probably weighed at least 50-60 pounds and required the combined strength of two individuals to cart them anywhere. Every person, I believe, has his/her financial kryptonite—for some, it’s electronics, for others, it’s the home goods section of Target. For Matt and I, it’s books. I’ve had a lot of people ask me over the years, “Why don’t you just borrow books from the library?” They then usually launch into a monologue that sounds suspiciously like a bragfest about how every week, they take their families to the library and can get everything they ever want–from books to DVD’s to magazines–for absolutely no cost at all. And then they usually rush to add that they save so much space in their house as well since their shelves aren’t “cluttered” up with books and movies. The argument for borrowing books is a sound one–it saves money and time, plus it teaches accountability and time management (so that you don’t get slapped with late fees every two seconds). But I will probably almost always buy my books rather than borrow them. *I have this quirk where I can’t just read one book at a time–I must be reading at least 3-4 books simultaneously (if not more). This habit assures me that for whatever mood I’m in, there’s a book I’m in the middle of that will fit that mood. While you might not see the immediate connection between this habit and my book buying problem, there definitely is one—you see, because I don’t focus on one book at a time, it takes me longer to read any single book because I’m in the middle of so many at once. Thus, when I try to borrow books from a library (as I do every few months or so), I inevitably find that I’m usually not able to finish all of them (or even one of them) before the due date. This has led to me having read many halves of library books, but very few wholes. *I like to mark my books. Some bibliophiles think it’s heresy to write in books (or to alter their appearance in any way), but not me–I often read with a pen or highlighter nearby so I can mark passages that I particularly like or that strike me in a powerful way. *I’m kind of a snob when it comes to book quality. I’m mildly obsessed with the smell of new book glue, and I love the look of pristine pages that have not yet been marked with grubby fingers or food stains. Because I generally do not have grubby fingers and have developed the skill of not spilling food when books are present, I don’t have to worry about my beautiful books getting dirty. But library books? Gross. I feel like I have to wash my hands every time I pick one up. *Sometimes, after I’ve read a book, I want to go back and locate a particular section or passage and re-read it. (Note: I don’t actually want to re-read the book, I just want to look at a small piece of it.) In such cases as this, it is invaluable to own the book–not only am I spared the trip to the library, but because it’s my copy and I’ve likely already marked the passage, I will probably find what I’m looking for within ten minutes. *I like the decorative look of bookshelves. I’m not one to struggle with buying new decorations for my home (in fact, I kind of avoid doing that altogether it seems), but that’s one thing I love about books–they are practicality and beauty all in one. Sometimes when I’m having a bad day, I’ll just go sit in front of our bookshelves in reverent silence, basking in the glow of the written word. True story. I’m sure there are many more, but all this talk of books makes me want to go pick one up and read already. 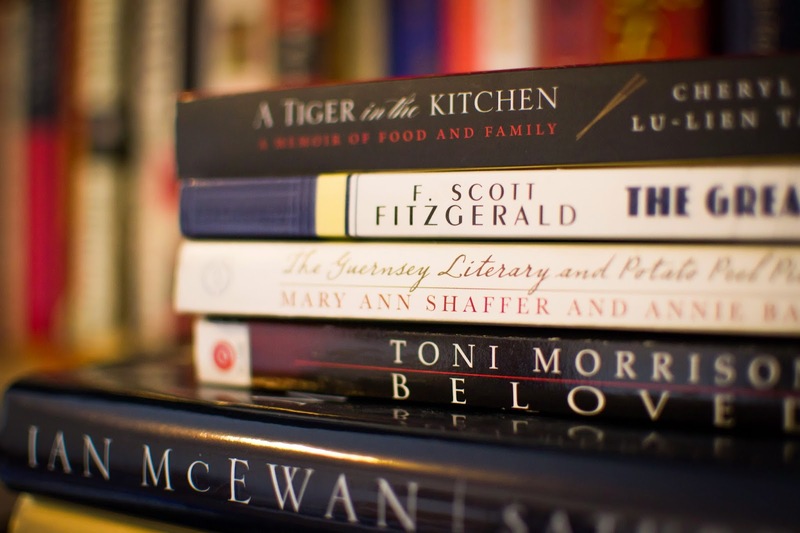 Are you a buyer or a borrower when it comes to books?